Spraying garden chemicals to get rid of bugs and weeds not only cause health risks, they often aren’t even that effective. Initially, they will kill off a lot of pests, but eventually these pests can develop resistance to the pesticide and come back even stronger. Another problem is the side effects many synthetic pesticides can have on unintended targets (think of DDT and birds). 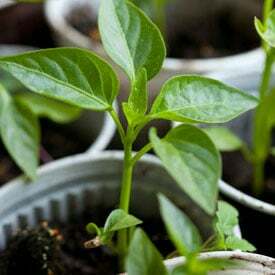 The best plan is to avoid the need to use pest control in the first place by starting with healthy fertile soil, matching your plants to the soil type, ensuring proper sunlight levels and watering conditions, and using appropriate organic fertilization and pruning, when necessary. 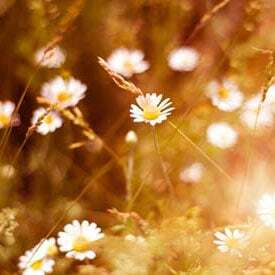 But, if that doesn’t work there are many alternatives to chemical pesticides that can reduce pests while leaving a healthy environment for your plants, pets and family. At Planet Natural we offer a large selection of natural and organic pest control solutions that are guaranteed SAFE and effective. 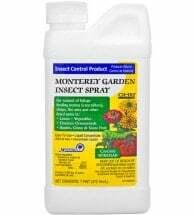 From beneficial insects to botanical sprays, we only carry the best. Also, visit our Pest Problem Solver for pest pictures, descriptions and a complete list of earth-friendly remedies. 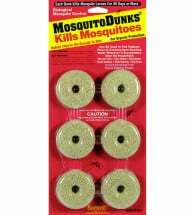 Barriers and repellents help keep bugs out of the garden. They can act like a wall preventing crawling insects from accessing your home or vegetables. For example, by planting carrots in toilet paper rolls cutworms can’t get to them. Plants can provide a living barrier to insects, too. Peppermint, spearmint and pennyroyal naturally deter aphids and ants, so plant them throughout your garden and these pests will stay away. Lady beetles, green lacewings and praying mantis are but a few of the beneficial insects that will prey on the garden pests you don’t want. These “good” bugs can be lured into the garden with attractive habitat (food, shelter and water) or they can be purchased and released into the garden — you’ll still need a healthy habitat for them to survive. There are many reasons to introduce beneficial bugs into your garden. 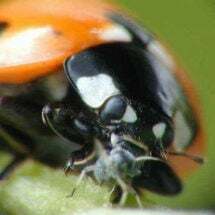 Over the long term, they are safer and more effective than chemicals, but you’ll need to do a little research first to determine what your specific pest problem is and which beneficial insects to enlist to help. Luckily, the Internet provides a wealth of resources, as does your local extension service. 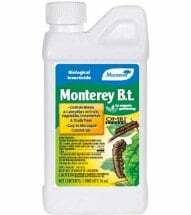 One of the better-known biological pesticides is Bacillus thuringiensis (Bt), which is often used against leaf and needle feeding caterpillars. This bacterium is found naturally in soils around the world and paralyzes the digestive tracts of the insects that eat it. A third (of many) biological pest controls is milky spore powder which targets the white grubs of Japanese beetles. When the grubs come to the surface of the lawn to feed (usually July or August) they ingest the bacteria. These milky spores germinate and multiply inside the grub, killing it. Inside the home is probably where most people are concerned about what sort of pest control they use. Choosing an organic way to get rid of fleas, roaches, mice and other creatures will help keep your family and pets healthy and safe. 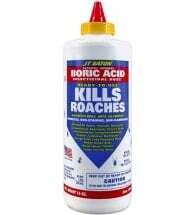 Boric acid powder acts as a stomach poison to insects and can be used to control cockroaches, ants, termites, and many other household pests. When these insects walk through it, the boric acid sticks to their legs and is carried back to the colony. The fine powder is ingested as the insects groom each other. Boric acid is less toxic to humans and pets than table salt. Tip: Make your own ant bait by mixing 2 Tbsp boric acid powder with one 8 oz. jar of mint jelly. 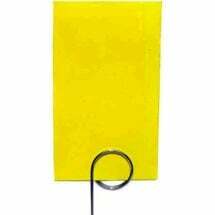 Place the bait on small cardboard squares and position these “bait stations” in areas where pests are noticed. Mice can be caught in either live or snap traps. It is best to set these along the edge of a wall (not in the middle of the room) where the rodents are likely to travel. If you choose a live or humane mouse trap, be sure not to contact the mouse and take it far from your home — and not near someone else’s! A citrus repellent can be made by boiling lemons and letting it sit overnight. The next day, spray your pet down. For the home, sprinkle regular table salt or boric acid (test for color fastness) over the carpet, let sit overnight and vacuum the next day. Wash all pet bedding in hot water, adding eucalyptus oil to the final rinse. In the yard, diatomaceous earth can be applied to all pet resting areas or wherever fleas are suspected. Kills insects FAST! 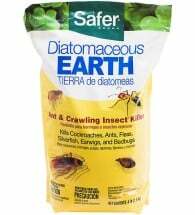 Safer® Diatomaceous Earth (aka Ant & Crawling Insect Killer) is made from the fossilized remains of tiny freshwater algae-like creatures called diatoms. A mild abrasive, it kills insects within 48 hours of contact… indoors or out! Everyone is familiar with the common mouse trap — the one with the big hunk of cheese that shows up in cartoons. 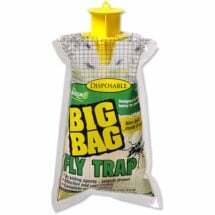 But, traps can be used to catch insects as well as mammals. Traps use visual lures, pheromones or food to attract pests and capture them, without hurting other insects, animals or the environment. Traps can either be used to monitor or control a population. When monitoring a population, insect traps can help determine when the insect emerges, how many there are and other information important in deciding what to do about a specific pest. Traps used to control a population do just that — they capture insects or rodents and (usually) kill them. Sometimes traps alone can take care of your pest problem, other times they are best used in conjunction with another pest management tool. For example, fly traps work well to attract and trap adult filth flies while fly parasites attack and kill immature fly pupae. If you are trying to get or keep organic certification be sure to check the Organic Materials Review Institute (OMRI) or the National Organic Program (NOP) for a list of materials approved for organic use in the United States. Planet Natural also maintains a list of organic products — all OMRI Listed — offered on their website. The fatty acids in Insecticidal Soap (this is not the same thing as dish soap) penetrate the insect’s outer covering and cause the cells to collapse, thereby killing the pest. It must be applied directly to the insect and will not be effective once it is dry. 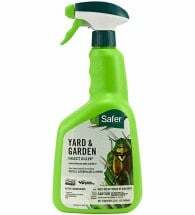 Insecticidal soap is considered a least-toxic pesticide and will not harm beneficial insects such as praying mantis and ladybugs. 100% organic. 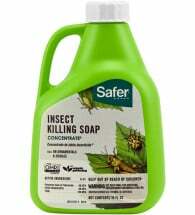 Safer® Insecticidal Soap is made from naturally occurring plant oils and animal fats. 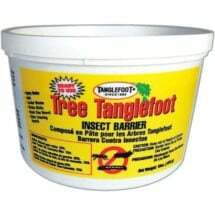 Penetrates the protective outer shell of soft bodied insect pests and causes dehydration and death within hours. d-Limonene, made from the oil extracted from citrus rind, is a relatively new organic insecticide that works by destroying the waxy coating of an insect’s respiratory system. Ideal for use in the kitchen and around the home, d-Limonene can be used to combat fleas, ants and cockroaches. 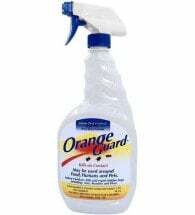 In a recent study, d-Limonene (found in Orange Guard) was shown to reduce cockroach populations more effectively than Dursban, the toxic ingredient in Raid®. Often plant diseases can be avoided by ensuring good draining soil and adequate air movement. But, when that doesn’t work and your plants start to show signs of rust, moldy coatings, blotches, wilting, scabs and rotted tissue it’s time to apply a fungicide. Tip: Visit our page on Plant Diseases for help identifying some of the more common disease fungi affecting vegetables, flowers, trees and turf. Chock-full of information, we provide pictures and descriptions, plus a complete list of earth-friendly remedies for combatting them. Sulfur and copper are two broad spectrum organic fungicides that have low toxicity to animals, including humans. However, you still need to exercise caution and read the instructions before applying them. It’s also important to respect their temperature limitations. Copper fungicide can be used on vegetables, roses, fruits and turf. For best results it should be applied before the disease is visible or when it is first noticed on the plant. Liquid Copper Fungicide is effective against peach leaf curl, powdery mildew, black spot, rust, anthracnose, fire blight and bacterial leaf spot and is approved for organic gardening. Spray all plant parts thoroughly, and repeat every 7-10 days. Sulfur Fungicide is a finely ground wettable powder that can be used on fruits, vegetables and flowers. The extremely fine particle size provides better coverage and adhesion over fruit and leaf surfaces, resulting in greater efficiency. Sulfur Plant Fungicide is effective against powdery mildew, rust, scab, brown rot and much more. Do NOT apply during periods of high temperature or within two weeks of an oil spray as burning may occur. A new broad spectrum bio-fungicide that is approved for use in organic production is known as Serenade Garden Disease Control. 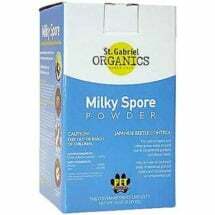 Containing a strain of Bacillus subtilis, it provides protection against many of the most common fungal and bacterial diseases, including bacterial leaf blight, botrytis, early blight, fire blight, late blight, powdery mildew and scab. For best results, treat prior to disease development or at the first sign of disease infection. Repeat at 7-day intervals or as needed. Hello, and thank you for this site. I am highly allergic to bee sting. Is there anything I can do to lower my risk of death in my yard during the spring and summer. I live in northern Arizona. Thank you again for any assistance. Betty – This page on yellow jacket control (https://www.planetnatural.com/pest-problem-solver/lawn-pests/yellow-jacket-control/) is found right here on the blog. While we can’t help with your allergic reactions… we can reduce your chance of getting stung. If we come across anything else we’ll be sure to let you know. Call your county extension office. They will come get the bees or have a bee keeper come get them! This is a great post. I wish I had known about salt to get rid of fleas, will it work on bed bugs? My parents had an infestation last year, it would be nice to be prepared in case it happens again. I’ve used “food grade” diatomaceous to get ride of bed bugs overnight! I put the fine white powder in a sock and lightly dusted the bed sheets. Just take care not to breathe it as you are dusting. A dust mask is advisable. You can also dust behind furniture and directly on rugs and carpets. It will also eliminate ants and other insects. Cedar oil is also very effective. I’ve purchased that from a company called Cedarcide, which you can find on line. Good luck! About bedbugs, I’ll tell you what we did since we could not afford to tent my father’s rental. We lived in Ohio so it was easy to get a big barn heater and put the propane tank outside the window. We tried everything but heat is what killed them all. We took out the electronics — DVD, VCRs, TV’s, clocks, radios — and got the room up to 120 degrees for 8 hours. After we aird it out and swept up the dead ones. It didn’t seem like a lot but you’d be surprised how many were hiding. What do the bugs look like and we’ll send some suggestions. 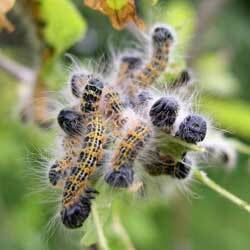 Also, please see the link below for a list of common garden pests and least-toxic remedies. What do you suggest using for mole crickets? They are destroying my grass. It looks like Safer’s Grub Killer will work on mole crickets. Also, you can apply Beneficial Nematodes as a topdressing to lawns. Thanks for the great info! Using beneficial insects in to get rid of garden pests is a wonderful idea. 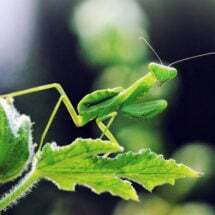 If you pests on your plants then your plants are not healthy. Healthy plants will create conditions that pests will not like. 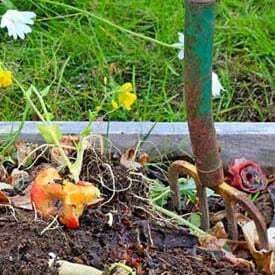 Check out biological gardening. I have an ongoing organic tea garden on conversion process. I m suffering from a mosquito bug name hellopaltis. Please send your valuable suggestions to control this insect. Any suggestions on how to rid myself of the new Asian stink bug. Wow!! Tried everything. Nothing kills these creatures!! They live forever. We are inundated with them on the east coast especially where we have a heavy crop area. I am in VA. Live on acre and half, fair amt of trees. Attack my vegetable garden every year; love tomatoes! Get in house and hibernate during winter and somehow multiply by thousands! Perplexed what that are living off of during this time???? Help? Mint leaves and peppermint leaves are a natural organic item that keeps beetles, roach family type insects, on the move. I have had the same problem. I moved to nc last year from FL and had never seen them. They’re worse in fall than spring for us but keeping curtains up, making sure windows are sealed, and that the screens are intact will help a ton. I’ve also heard that mint keeps them at bay but haven’t had many issues with them in my garden. Hi, I live in HI and have a vegetable garden with tomatoes (in pots), carrots (in a pot), green beans (in the ground), garlic (in hanging pots) and peas (in the ground). My peas and green beans grow fast and harvest a lot, but the leaves look super yellow as they grow taller and then they just die. Is that normal after 1 harvest? The garlic has these tiny itty bitty black bugs with 6 legs. The garlic sprouts fine, but dies before harvest. My tomatoes generally do pretty good, in a pot (hanging or on the ground), but spiders seem to make webs connected to them. Is that OK or will they eat them? All of them have ants and little roach looking bugs crawl on the stuff on or in the ground…is there anything I can do that’ll get rid of them, but safe for us to eat the vegetables? Sorry I know that’s a lot. Any help is greatly appreciated! will cayenne pepper spray get rid of leaf miners on my tomatos? Each evening, what look like cedar beetles crawl across my living room floor and I squash them. As many as 5 or 6 a night, spaced several minutes apart. Tonight one flew at me! I never see where they come from, just see them crawling, and I’m getting really creeped out. What can I do? I live in a wooded suburban area of Norh Carolina. My husband has sprayed the grass for the white grubs. On raised gardens close by where he sprayed. I mean a distance of a foot. I have pepper and tomato plants. How safe will they be,they are still at the flowering stage. Hopefully you didn’t eat those plants if your husband sprayed with a synthetic pesticide. The drift could go for hundreds of yards – miles depending on the breeze and temperature. This is why these chemicals are so bad for us all. Hopefully your husband has since found an alternative method to eliminate white grubs. 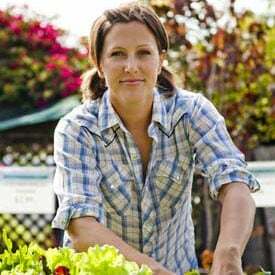 Ridding one’s home of pests is never worth the cost of human health let alone all the beneficial insects and wildlife that could take care of the problem naturally. New to growing orchids. Have only one. It has been busy growing air roots. Now it has a flowery stem growing. Picked it up to water & found out it is infested with ants. I’m trying the “cyanne” pepper to see what happens. Thanks for the site. Exactly Dig, homemade pesticides are very effective and cheaper than the market products. The important thing is they are not harmful to the environment or people. I mostly use Garlic, Pepper and Onion as an Insecticide to save my garden plants from insects. In my back yard i have a number of annoying bugs like flies, moths, mosquitos and spiders and some crawling bugs. I don’t have plants but i like to bbq and all the bugs are discouraging. Any suggestions? Your backyard SHOULD have some bug such as those you mention for the healthy balance of nature. They won’t bother you and it’s food for the birds and other animals in your yard. They won’t bother you? MOSQUITOES won’t bother you?!?!?!? That’s criminally stupid. What can I use to get rid of frogs big frogs. My neighbor is not the cleanest. So I would need to use something to cover a very large area. Any help is great….yard is infested with fleas also. HELP…..
Great post thank you! Its certainly great to have more of a safer option to get rid of all the pests. I have this little container garden started (http://imgur.com/a/zDli2). Sorry for the bad picture of the whole thing, it’s morning and the light comes from the other side. I’ve had one incident of spider mites on my Thai basil but I’ve been spraying it with soapy water every morning and it seems the mites have lost the battle. I noticed that my tomato has some pest spots on it, I cant see any bugs (though I’ll keep an eye on it) but it got me thinking of what I could do to keep my little garden pest free. Are there preventative measures? They’re located on my porch that is on a big patio area between 2 units of the apartment. They get plenty of good direct sunlight but because it’s a closed off area, there aren’t any predatory bugs (like praying mantis or lady bugs) to help keep them strong. I’d like to keep it as organic as possible. I have a container garden as well. 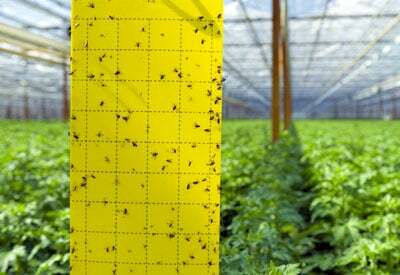 I use beneficial nematodes to control fungus gnats and flies. Neither will do much harm to established plants (in fact, flies are a minor pollinator & fungus gnats eat fungus that grows on the soil), but it is gross to walk outside and be swarmed by flies. I swear by beneficial nematodes now. I also find a wide mouth bowl with vinegar and a bit of soap and a splash of water works wonders for luring & trapping adult fungus gnats & flies. The soap is important because it breaks the surface tension of the vinegar. You can buy ladybugs & predatory bugs online as well if you really want some bugbros around. Hope It Helps. Earwigs in my house. What do I do? Seems like our yard has a lot of webs lately. Any suggestions? Could it be sod webworm? How can I get rid of termites in my garden? They destroyed my kale, are attacking the corn, and I bet they are planning their next invasion as I type. I was doubtful about them being termites, but they definitely are. I want them gone asap, but I also want to save our veggies if at all possible. I think you’re having trouble with earwigs, not termites. However, you seem pretty certain, so I’ve included links to both control pages. This a photo I took with my phone-dug one of them up. Can you please clarify for me? Do you have a recommendation as to what I can safely use on my veggie gardens and how to apply it? Well Sue…that’s a termite! I was under the impression that termites only ate wood/ cellulose, but after a quick Google search I’ve found that they will also feed on plant roots. In fact, multiple gardeners are commenting on the same problem that you’re having. Try burying strips of cardboard soaked in boric acid as a possible remedy for termites in your garden. They will eat the cardboard “bait” and the boric acid will kill them. Some growers have also seen good results when applying beneficial nematodes over the area. I love that there are organic options to keeping the garden pest free! My mom has always made home remedies to keep bugs off her plants (and she was a big fan of boric acid within her home! ), but I never had the patience to come up with my own homemade products. After reading this article, I’ve done a little research and found some great organic pest control products that I think will fit my needs! I have been using a boric acid with a lure in it. I live in an apartment building — it seems like it’s hard to get rid of roaches. I also have to be carefully I have two cats. Is there anything else I can use? I make sure to bag up my garbage in containers and zip lock bags to throw away. I’ve attached a link to our cockroach control page here. Hello, I work for an organic food packaging facility and have been working diligently on solving a large scale infestation problem with what we believe to be grain beetles/warehouse beetles/weevils, and flour beetles. Do you know of any long term and or fast acting solutions to this infestation problem that would not interfere with our day to day operations? We have an 8 hour window every night from 10PM-6AM in order for us to sanitize and organize our product, and I believe this would be an opportune time to address the bug issue. Any products you’d recommend or even any fogging procedures you might try yourself? I’d be greatly humbled to have this issue resolved. We’ve tried freezing them and fogging them however they always seem to come back stronger than before. This has resulted in countless loads being returned to our facilities. FYI, we have been using EVERGREEN as our organic solution however, little progress has been made with it. How and when would you get rid of aphids on butterfly weed? (We’ve also noticed termites killing a few trees on our property, and near our house! Eeek…. I have black beetles in my lawn. How do I get rid of them naturally?